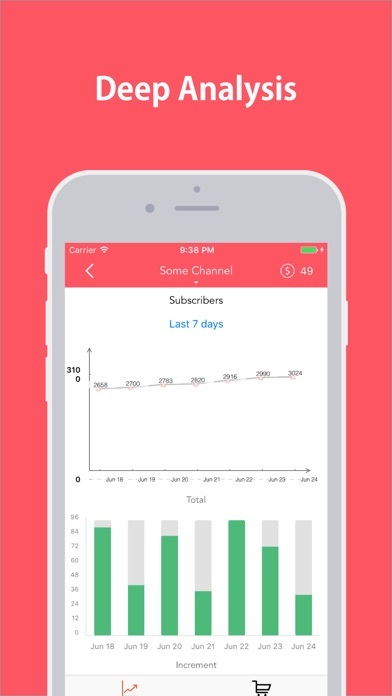 Monitor the performance of you YouTube channels and videos with up-to-date metrics. 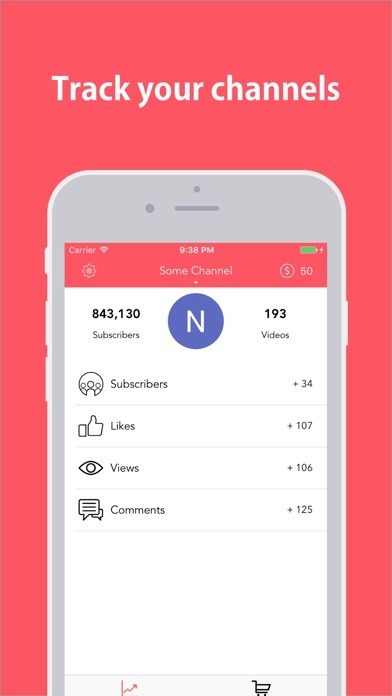 • Track subscribers, likes, views, comments • Deep analysis with different insights • Support date ranges • Multiple accounts Disclaimer: This app and its makers are not sponsored or endorsed by, or affiliated with, YouTube Inc.
BOUGHT 1000 COINS AND THEY NEVER SHOWED UP. 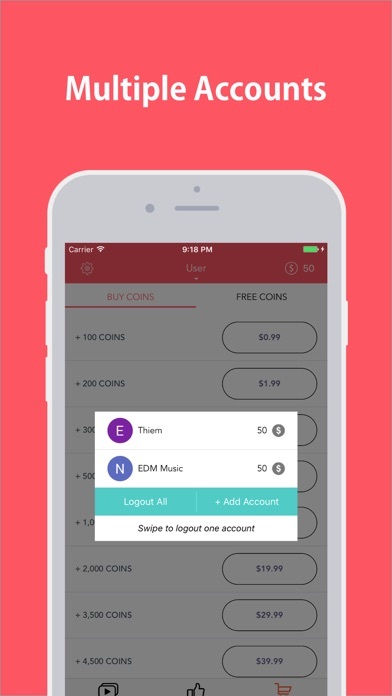 PLEASE GIVE ME MY COINS. IT WAS $15 ! - autor:mamamamjj - title:STOLE MY MONEY.